Salisbury Cathedral is running an action-packed free open evening Night Visions: An Evening at Salisbury Cathedral on Friday 17 May from 6.30pm to 10.00pm. The event is part of Culture 24s nationwide Museums at Night initiative, the annual festival of late night openings when hundreds of museums, galleries and heritage sites open their doors for special evening events. Musical activities include a ‘come and sing’ workshop, a short performance by Salisbury Cathedral Junior Choir, and organ demonstrations. Outside, you can enjoy stories in the lantern-lit cloister garden, follow the special mystery object treasure hunts in both the cathedral and cloisters, and especially for children there’s a picture quiz on the medieval frieze in the Chapter House and historical costumes to try on – even have your photo taken with King John! There’s a quirky history ‘Things-you-never-knew’ trail of the Cathedral and exhibitions of embroidery and copes. ‘Hands-on’ activities include decorating beautiful illuminated letters and patterned candle-holders, or creating a collage using stone rubbings with a touch of gold leaf. Or there’s decorating biscuits, ‘Have-a-go’ stonemasonry and even some medieval games. For the more energetic there are swift ‘roof tour tasters’ to see some of the Cathedral’s roof spaces and get a brief taste of what our full tower tours are like. The diversity of worldwide creativity to celebrate Magna Carta 800 is testament to it’s power and longevity. Thousands of events and activities are being organized for millions of people, all of whom have been touched by the events of 19th June, 2015. A Magna Carta Symphony will be performed, special exhibitions, lectures and conferences will be held. Magna Carta 800 is a global event to which the whole world is invited. Salisbury Cathedral intends to re-display and re-present its Magna Carta in the newly-conserved Chapter House, safeguarding the document for the future and using the latest interpretation techniques to communicate Magna Carta’s historic background and modern significance to the many extra visitors it expects to welcome in 2015. It also hopes to conserve and repair the Cathedral’s medieval Cloisters where the Chapter House is located. 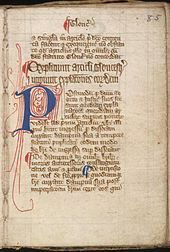 Magna Carta is one of the most celebrated documents in English history, regarded as the cornerstone of English liberty, law and democracy, and its legacy has been its enduring worldwide influence. It was written in Latin, the language of all official documents of the period, on a single skin of vellum (calfskin). It consists of 63 clauses written on 76 tightly packed lines, written with the standard medieval time and space-saving abbreviations. It is one of the most celebrated documents in English history whose importance cannot be exaggerated. It is often claimed to be the cornerstone of English liberty, law and democracy and its legacy has been its enduring and worldwide influence. The critical importance of the charter is that it imposed for the first time detailed written constraints on royal authority in the fields of taxation, feudal rights and justice, and limited unjust and arbitrary behaviour by the king. Magna Carta has become an icon for freedom and democracy throughout the world. The other surviving copies are held by the British Library and Lincoln Cathedral. An adaptation of William Golding’s powerful novel dramatising the building of the spire of Salisbury Cathedral in the 14th century is full of strong performances, writes Jane Shilling. The Spire, an adaptation of William Golding’s novel of the same name, performed at Salisbury Playhouse. The spire of Salisbury cathedral rears over the city, its apex surmounted by an oddly festive bobble of red light. The novelist William Golding lived and taught in Salisbury for many years and his novel, The Spire, imagines the building of the great pinnacle — the tallest in England — which was added to the original structure in 1320, a century after the foundation stone was laid. Its construction was a miracle of faith over physics. The land on which the cathedral stood was swampy, and the foundations seemed insufficient to support the additional weight. Golding’s novel imagines the spire as the vision of a driven man, Dean Jocelin, who believes that he has been commanded by God to build it to glorify Him and bring the congregation closer to heaven. As in all acts of spiritual conviction, there is a fine tension between the exaltation of God and Jocelin’s sinful human pride. Golding’s novel brilliantly conveys this by means of Jocelin’s interior monologue. Roger Spottiswoode, who has adapted Golding’s novel for the stage, has a harder task. Gareth Machin, the artistic director of the Salisbury Playhouse, sets his production on an all-but-bare black set of cloistral simplicity, beautifully lit by Philip Gladwell to define the sharp angles of stone and flesh – we see mortality as a constant haunting presence in the skulls so clearly visible beneath the actors’ skins. Mark Meadows as Dean Jocelin is the image of a man in whom spiritual and temporal desires are irreconcilably and, in the end, fatally at war. He is able to override the doubts of his brethren at the Cathedral by sheer force of will, combined with the wealth of his aunt Lady Alison (a spirited performance by Sarah Moyle) who takes a highly pragmatic attitude to atoning for the sins of the flesh committed in her youth by putting the riches thus acquired to holy use. The scene in which she explains to her nephew the venal means by which his early preferment came about is a fine study in tragic-comic devastation. Strong performances by the supporting cast, particularly Vincenzo Pellegrino as the master mason, Roger, animate this gallant essay in dramatising Golding’s vastly complex fiction. So powerful a presence is the cathedral in the drama that it would be perverse not to combine a visit to the play with a trip to the beautiful building that inspired it. On Friday 16 November, 7.30pm – 9.00pm, the Dean of Salisbury, the Very Revd June Osborne, and Gareth Machin, the play’s director, can be heard in conversation as they explore Golding’s tale of Jocelin’s vision in the very location itself, sitting underneath the spire. There will also be readings from the novel and an opportunity to ask questions. Themes include: Jocelin’s vision – was it foolish or inspired? 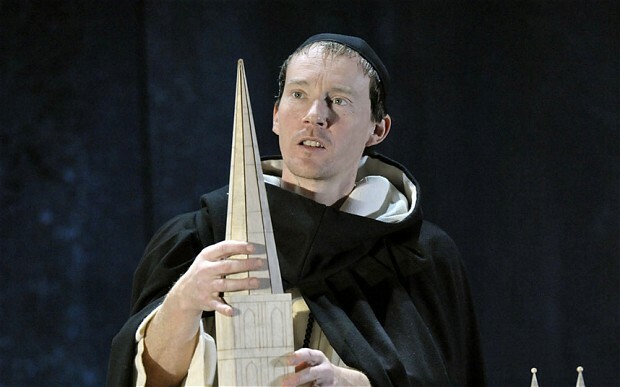 Golding’s juxtaposition of faith and science, the challenges of staging ‘The Spire’ – and the challenges of maintaining the real spire. Tickets, £8.00 (adults) and £2.50 (students) for ‘A burning will….exploring The Spire’ are available online from http://www.salisburycathedral.org.uk here or from Salisbury Playhouse box office, 01722 320333 . All proceeds towards the Cathedral’s Major Repair Programme. Special tower and floor tours at Salisbury Cathedral focussing on what really happened when the 6500 tonnes tower and spire were added take place on Saturdays 3, 10 and 24 November, and Monday 5, Tuesday 13 and Thursday 22 November. 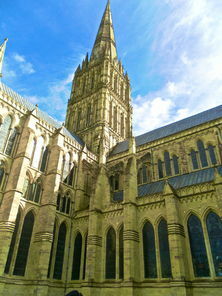 ‘The Spire’ tower tours, £10.00 (£8.00 concessions), begin at 2.15pm (allow 90 minutes) Pre-booking essential online at: http://www.salisburycathedral.org.uk here or telephone 01722 555156 . Floor tours begin at 11.00am (allow 60 minutes) No booking or tickets required – just turn up. Visitors are requested to make a donation to help towards the fabric of the Cathedral. Salisbury Playhouse production of The Spire can be seen from 1 – 24 November, box office 01722 320333 . Salisbury will be hosting its first ever Christmas Market from 29 November. The Christmas Market will be taking place in the ancient Market Place in front of the city’s magnificent Guildhall. 55 beautiful chalets will be tempting visitors with stunning quality products, ideal for those who wish to find an ideal gift. C ome to Salisbury’s gorgeous new Christmas Market! 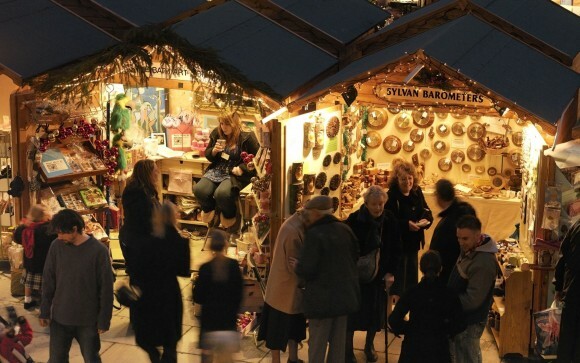 You will find it to be one of the prettiest, loveliest and most tasteful Christmas Markets in the country. With beautifully decorated chalets, inspiring and desirable gifts and gourmet foods, a warm welcome from stall holders, a Father Christmas Grotto, a spectacular lantern procession, and traditional music by local choirs and schools to serenade you while you shop, we hope we have all the ingredients for the perfect traditional Christmas. 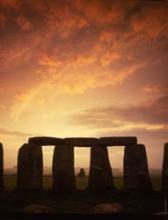 Salisbury is located in the East of Wiltshire, right next to Salisbury Plain. Established in 1220 with a history settlement preceding this, the city was named Salesberie at this time. The first Cathedral was built around 1075. This was however re-sited. It has been said that an arrow was fired and the newer cathedral was built upon this spot! The cathedral holds an the best preserved copy of the Magna Carta 1275. The town has a very vibrant nightlife with many lovely traditional pubs and modern bars. We cater for every age group and the town has a nice relaxed and friendly atmosphere. There are many things to do in and around Salisbury. Only a few minutes away from the busy city centre, you can take a peaceful walk in the pleasant parkland. There are paths trailing through the water meadow. With an abundance of wildlife you are able to lose yourself in nature and view the beautiful Cathedral in the close distance. Or if you fancy a walk, meandre across the Water Meadow until you each the Old Mill. Now transformed into a restaurant and hotel!